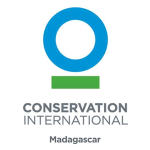 Below are LCN members that are conservation organizations working in Madagascar. Narrow the list by using the drop down menus below. AEECL advances the understanding and conservation of Madagascar’s lemurs through scientific research, captive propagation, and protection of natural habitats in which lemurs live. AEECL has been carrying out community-based conservation programming on the Sahamalaza Peninsula in northwest Madagascar since 2000. 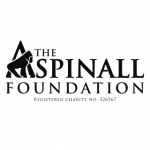 The Aspinall Foundation works in Madagascar to implement effective, targeted conservation actions on a small number of high priority lemur species, including greater bamboo lemurs, black-and-white ruffed lemurs and indri. They achieve this work by partnering with local communities and addressing the conservation of both the species themselves as well as the habitat they live in. Association Mitsinjo works for the conservation of biodiversity and the sustainable development of the Andasibe region (central Madagascar) and beyond. The Association Mitsinjo currently manages the forest station at the Analamazoatra Special Reserve, which is part of the Andasibe-Mantadia National Park. In addition, the organization manages the Torotorofotsy Ramsar Site in eastern Madagascar; one of the last intact mid-altitudinal marshes in the country. Association Tantelygasy supports the protection and the reforestation of the natural forest of central Madgascar near Ambositra. A relatively young organization, Association Tantelygasy is developing ways for the local community to create income, thereby decreasing pressure on the nearby forests through innovative programming through eco-tourism, beekeeping, and promoting the development of local handicrafts. 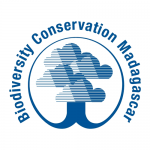 Biodiversity Conservation Madagascar (BCM) serves as the conservation arm of Bioculture (Mauritius) Ltd. BCM’s main goals are to conserve threatened forests in east and west Madagascar that are of high biodiversity value, especially those rich in lemur species. BCM currently undertakes programming in a 2,400 hectare lowland rainforest in Sahafina (east Madagscar) and the Beanka dry deciduous forest in the Maintirano region (west Madagscar). Bristol Zoological Society saves wildlife through conservation action and engaging people with the natural world. The zoological society focuses its efforts on the Sahamalaza peninsula of northwestern Madagascar, where they work together with other European zoos to protect the last remaining populations of two critically endangered lemur species: the blue-eyed black lemur (Eulemur flavifrons) and the Sahamalaza sportive lemur (Lepilemur sahamalazensis). The Institute for the Conservation of Tropical Environments (ICTE) and the Centre ValBio have three main objectives: 1) to promote world-class research; 2) to encourage environmental conservation by developing ecologically sustainable economic development programs; and 3) to implement projects focused on sanitation, diet, and education. 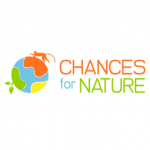 Chances for Nature works with local communities to sustain natural resources through outreach, education and capacity building. They promote sustainable techniques and behaviors that promote resource management, while raising awareness among the Malagasy for Madagascar’s extraordinary biodiversity. Conservation Fusion connects communities across the world through innovative education programs that promote conservation actions. The organization currently focuses its efforts in Madagascar where it partners with research-oriented organizations to undertake education outreach programs. For more than 25 years, Conservation International (CI) has been protecting nature for the benefit of human wellbeing and the organization now impacts communities in over 30 countries to help build a healthier, more prosperous, and more productive planet.